Complex and ample sweet wine with an outstanding freshness. 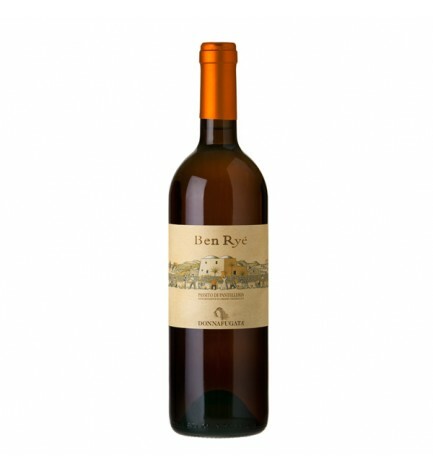 On the nose intense notes of apricot and peach follewed by sweet sensations of dried figs and honey, aromatic herbs and mineral notes. An extraordinary meditation wine, it's the ideal companion while reading a book or listening to music. We reccomend it as sweet ending of an elegant dinner as well as your first date. The Wine advocate calls it a "knockout wine"
Monica Larner, the Italian wines reviewer for Robert Parker’s Wine Advocate has written wonderfull review about the icon wine of the heroic viticulture of Pantelleria, one of the most arid islands in the Mediterranean: “a knockout wine” that represents top quality for a sweet wine.